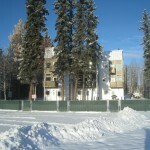 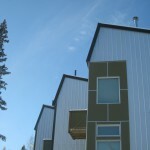 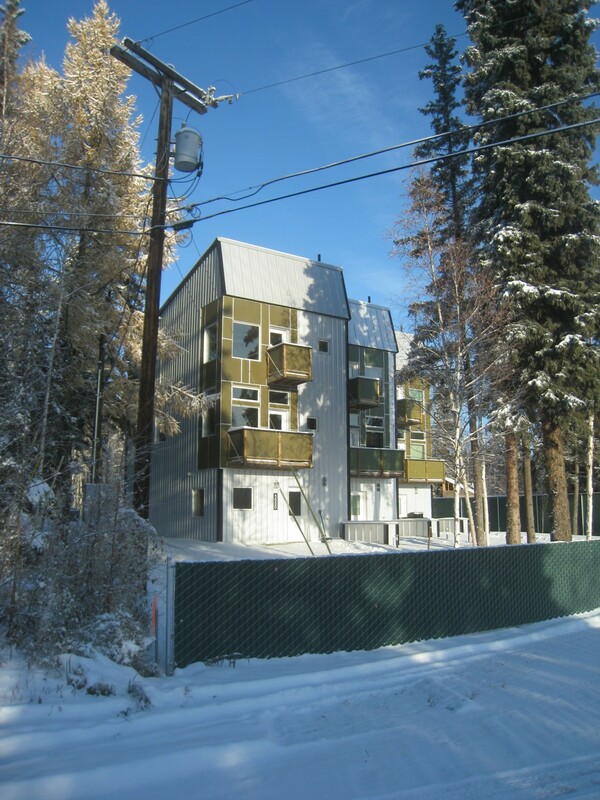 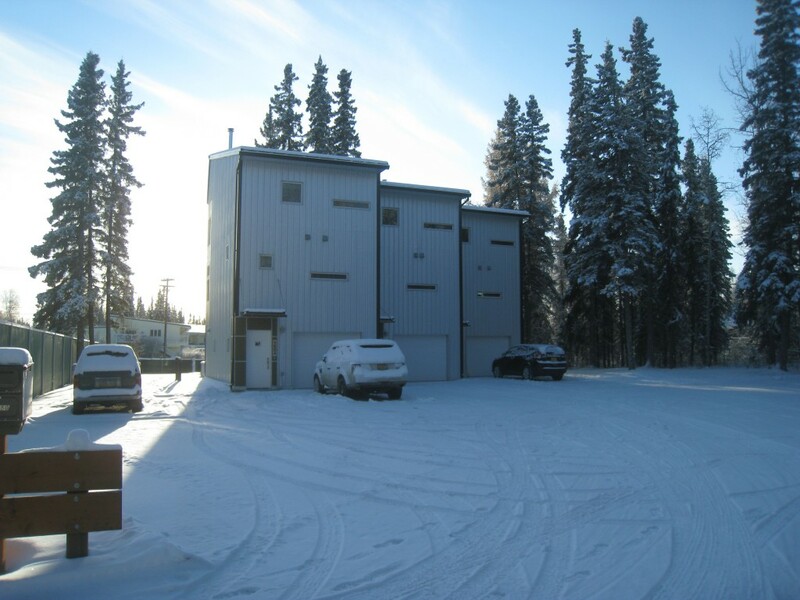 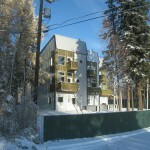 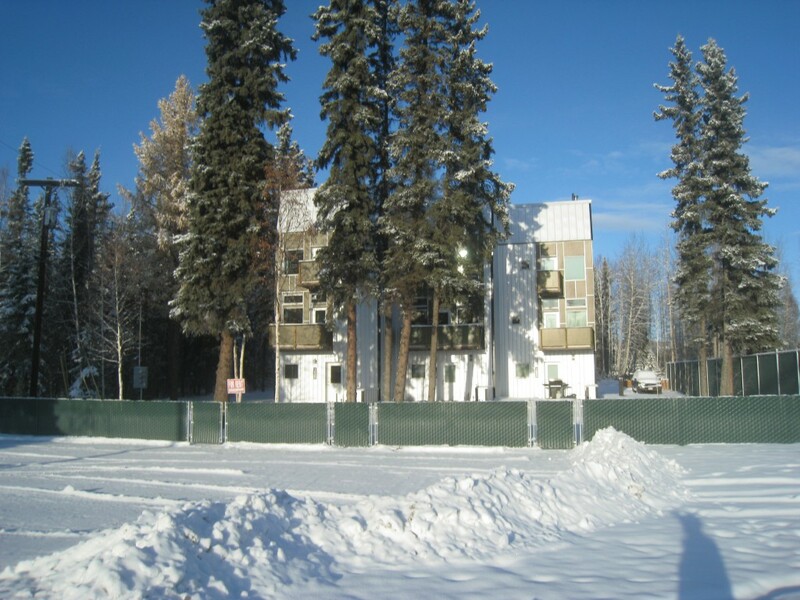 This triplex addresses the huge desire for an awesome place to rent in Fairbanks. 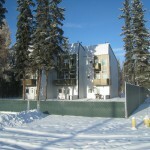 Three identical plans are individualized with unique window placement and exterior balconies. 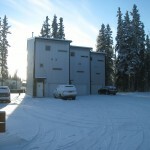 The first floor has a single car garage, separate entry, and home office space with another separate entry facing south. 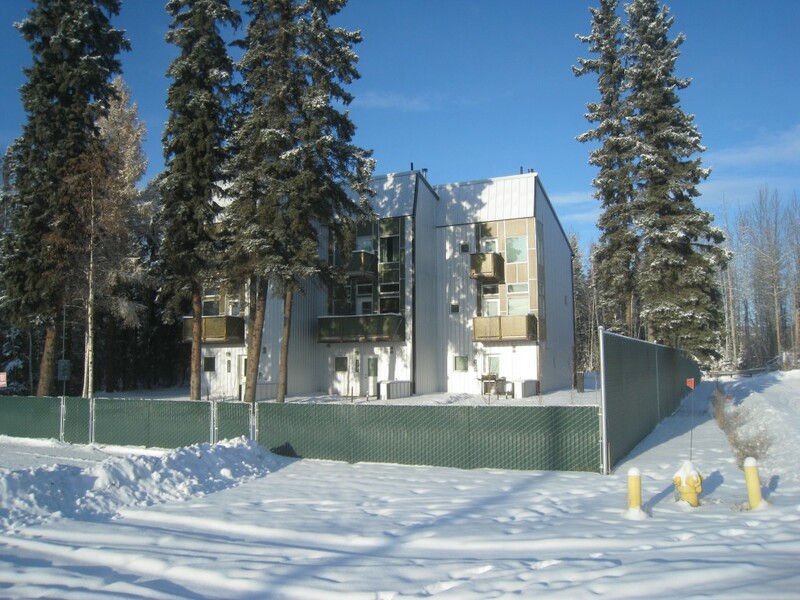 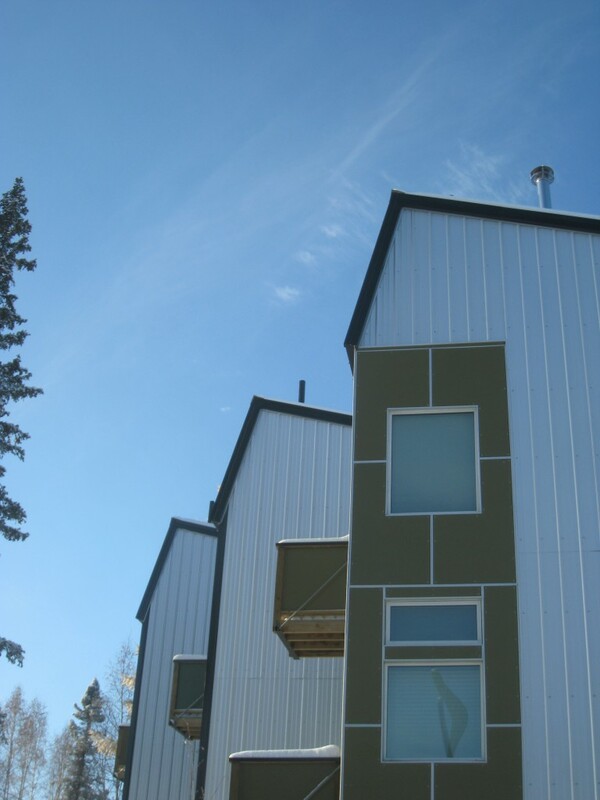 Exterior walls are constructed of insulated concrete form work which provide silence, durability and energy savings.